Our Very First Izzy Elf Giveaway! Hooray! Deedy has told us we can give away ten downloads of the Frizzy, the S.A.D. 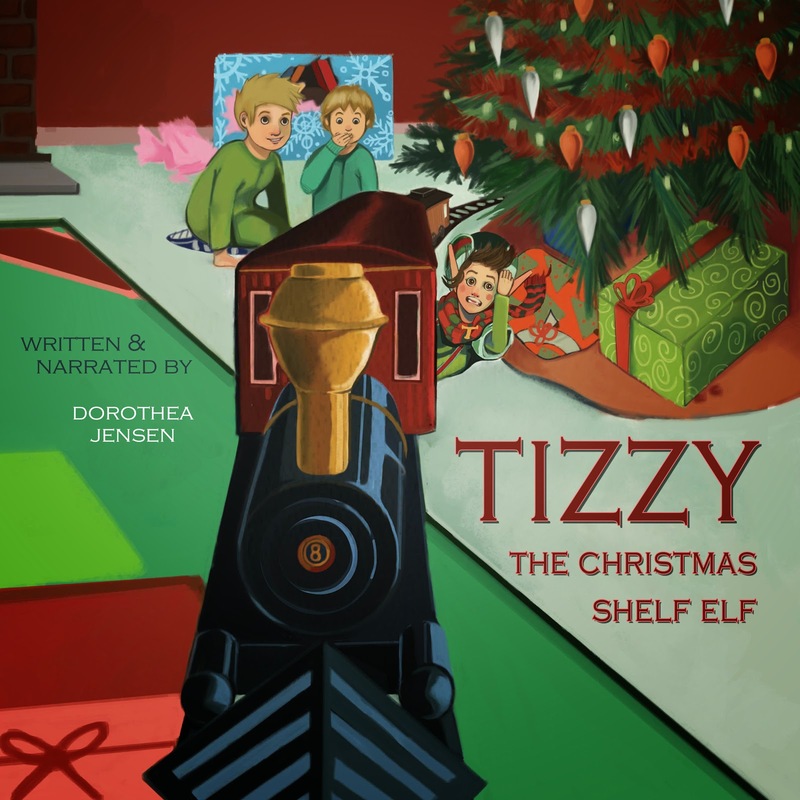 Elf audiobook from Audible.com. We are all a-twitter over this, and there has been much lively discussion as to how we will do this. We haven't voted yet (and we're pretty sure that S.C. and Deedy will have Something to Say about this giveaway process). As soon as we figure it all out, we'll let you know how to enter our drawing (we all agree we like that word drawing as that is what we all are, really). Much love from the Izzies! Oops. S.C. Isn't Too Happy. We don't really blame him. He noticed all eight of us Izzies were hanging around Bizzy's Elfascan and Whizzy's Elfputer clicking over and over to refresh the total on this blog. (It's up to 5451 now.) He said we were a little teensy weeny bit obsessed. He's probably right. He says we all need to get back to work or we won't finish all the toys in time for Christmas. So we've set up an IzzyElfBlog Surveillance System. Bizzy and Whizzy take turns checking the total, then signal the number to the rest of us when Santa isn't looking. Sorry, Santa. Inquiring Elves want to know. Five Thousand Four Hundred & Twenty Five? Lots of Swooning Up Here! 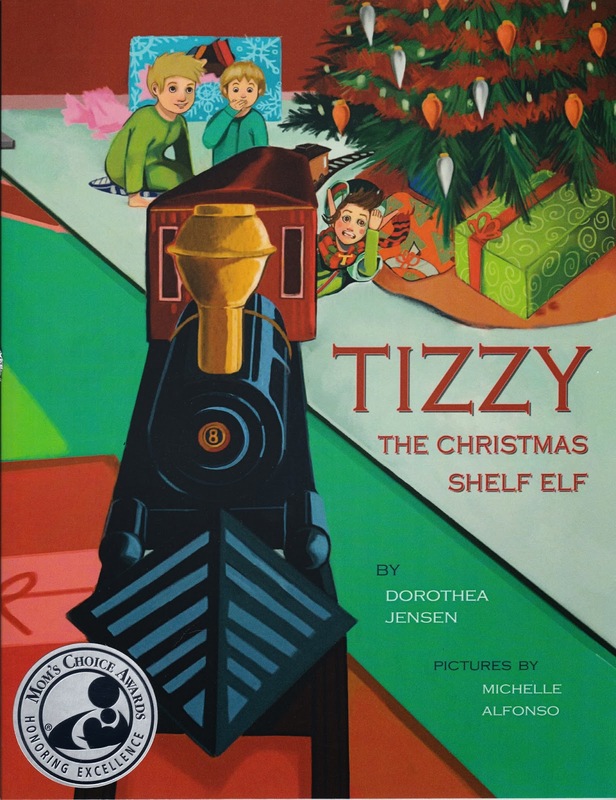 We had no idea how many Izzy Elf Fans were out there until recently, when Deedy (that's Dorothea Jensen to you) figured out how to see the total. By the way, Deedy has told us we have to cut back on the number of !!!! 's we use. We're trying to do this, but we keep getting excited every time we start writing a blog. 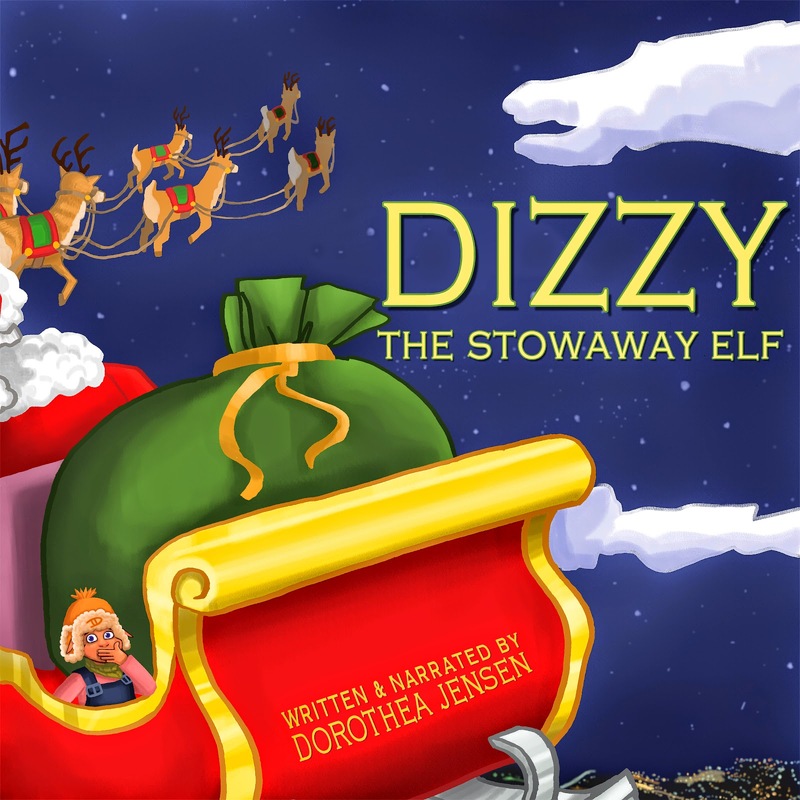 Woo Hoo #4 (and last post for the day) Dizzy's Audiobook Excerpt! Deedy has allowed me to post the excerpt for my upcoming audiobook, too. As you can see from the cover picture, my Big Adventure turned out to be Quite Interesting. We are now just waiting for the internet elves over at the ACX (Audio Creation Exchange or whatever ACX stands for) to listen to it and say it is OK to release it. I hope they approve mine first, before Tizzy's or Blizzy's. 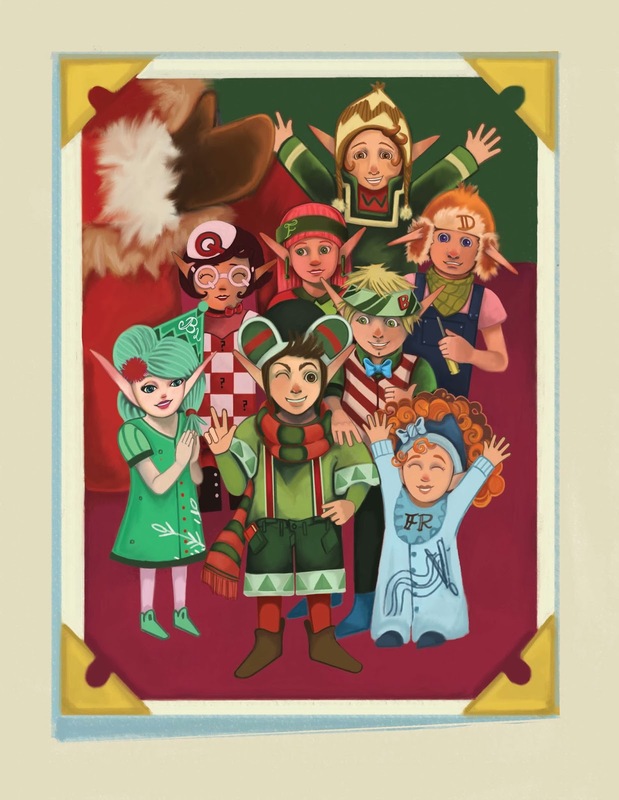 Mine is the most exciting of all the Santa's Izzy Elves stories so far, after all. Woo Hoo Three!!! 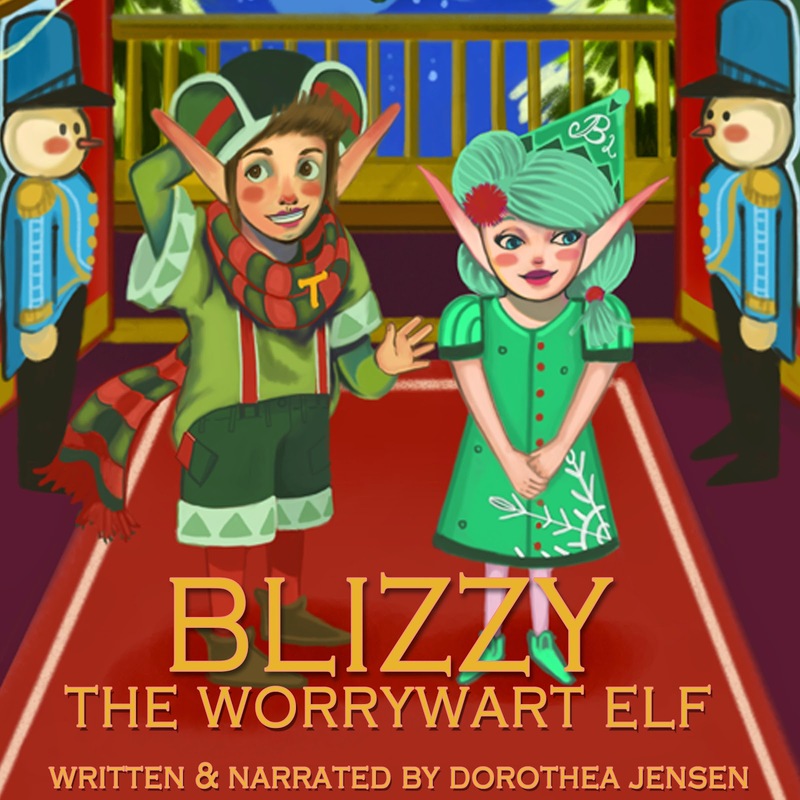 It's Blizzy's Audiobook Excerpt! Here is a little sample of the audiobook that Deedy recorded, with a little music by the Wise Women. I decided NOT to start playing it at the very beginning (the usual " 'Twas the Night Before Christmas" opener etc.). The whole audiobook won't be available for downloading from Amazon.com, Audible.com or iTunes for another couple of weeks. I'll let you know when it's ready to go! This is a little premature, as the NEW, IMPROVED (with music) audiobook won't be available for another week or two. However, I'm just too excited to keep this to myself! It's such fun to hear Deedy reading this (and to hear the Wise Women playing a little music). Here's the link so you can listen, too. A-A-A-nd here's Frizzy! We Izzies are all a-twitter because these links were so easy to copy from our website izzyelves.com and paste into our blog. Not only was it a breeze to do, but it makes us all feel very, very clever, which is something we don't often feel when messing about with the internet. Hmmm. Wonder if we can squeeze any of this into a tweet through our twitter account. Probably not. But we'll see what we can do. add to the joy of your holiday! Here are the links for Dizzy. We are so stoked! After all that work we did adding these links to our website, izzyelves.com, we thought it would take us forever to put 'em on our blog. But here they all are, with just a click, click, click! Hmmm. We can't figure out why the above links are not the same color. But we're NOT going to dwell on that. We're just happy the links work. Who cares what color they are? So we went to our website, izzyelves.com, just hit "copy" and were able to transfer Blizzy's links AND cover picture to our blog! We Izzies are all feeling EXTREMELY smug. Dizzy especially, who knows so much about e-stuff. Not to mention Bizzy, who thinks he does, too. Cool! We found a SHORT CUT!!! we just tried pasting those links onto this blog and IT WORKED. In celebration of this happy surprise, we are going to put links for each book on separate blogs.